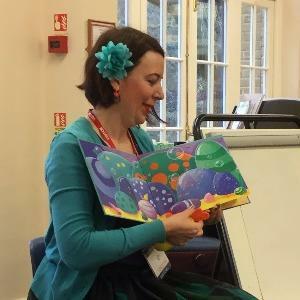 The Lower School were very lucky to have a visit from author and illustrator Ruth Galloway as part of their World Book Day. What an honour to meet Fidgety Fish, Smiley Shark and Tickly Octopus in person! Ruth read her brand new book to us and then took a masterclass with each year group, discussing her characters and leaving us a signed drawn picture of her undersea world. Clumsy Crab came to life in her hands and we were all smiley sharks ourselves after her visit.